creativity, critical thinking, diversity and collaboration. It is a platform where you as a learner will find the tools to transform your life. It is a panorama of multilayered experiences that will nurture, test, and re-affirm your skills. It will be a canvas where moments of exhilaration, freedom, hardwork and challenges will add the finishing strokes to who you can be. 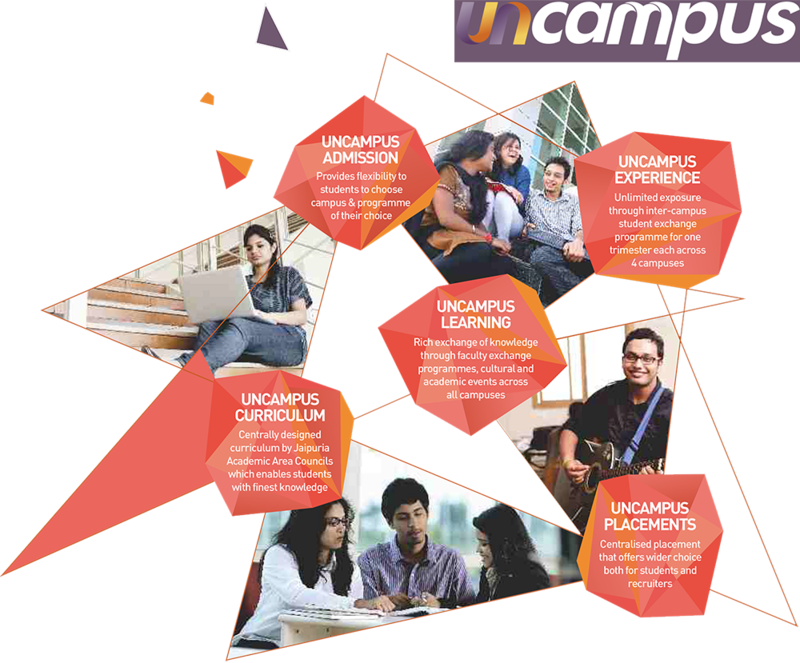 Uncampus – a pioneering Jaipiuria initiative breaks campus walls to create one culture of learning and excellence across its four locations. What you get is an uninhibited learning space. Boundless peer and faculty exchanges and simplified admission and placement processes. It’s a win-win situation working in everyone’s favour – for you as a student, your faculty and the long list of recruiters.